Featuring even more gems from almost every musical genre and spanning across multiple decades, Baby Driver Volume 2: The Score For A Score will be released on April 13, 2018 via 30th Century Records / Columbia Records. 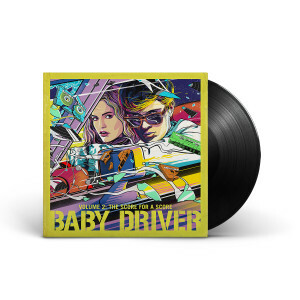 The album features more memorable songs from the movie, exclusive tracks and special remixes that mirror the unique experience of the movie as well as dialogue excerpts from the film, and the unreleased score by Oscar winning composer Steven Price. Celebrate your freedom by blasting out Baby’s perfect score-for-a-score at maximum volume! Single disc LP, 150g weighted vinyl. Comes with digital download insert.